​get the first month for only $1. Discover New Bars and Have A Drink On Us EVERY DAY. download the app and use invIte code 'WINELovERS" (lower case) to get the first month for $1. 30 (ish) drinks a month for the price of one? Yes please. Receive a new premium cocktail every day at any of 450+ top bars and restaurants around the world, from brunch to late night. We hand select the best venues and our list grows every day. Yes, it’s time to try a new bar. The App is free to download and try. If you decide to become a member, you receive 30+ drinks for $9.99 USD a month, less than the price of one cocktail. What types of venues are on Hooch? We partner with top bars and restaurants around the world. Currently Hooch is live in over 10 top cities from New York to Hong Kong, and we are constantly expanding. How soon after subscribing can I order my first cocktail with Hooch?As soon as you activate the subscription on the app, you’re good to go. Immediately. Can I go to multiple Hooch venues and get drinks from every venue?You get One Drink Every Day. You select the venue, but once you redeem your drink for the day, you cannot get another one until the next day. But you can come back to the same venue the next day, or be adventurous and try something new, up to you. 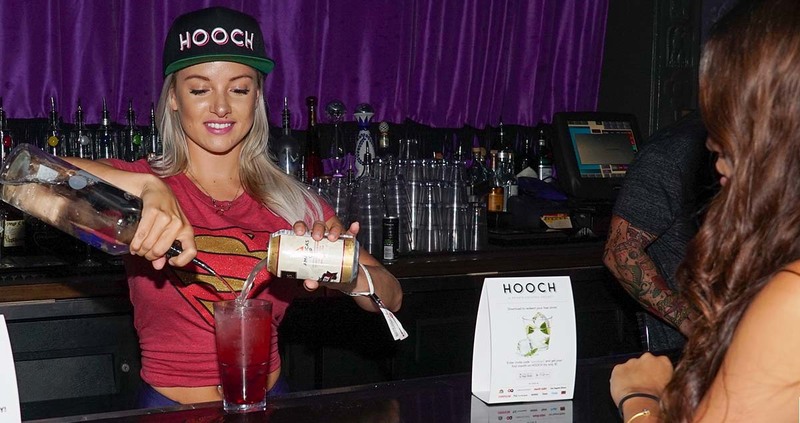 Hooch was founded by a group of friends with extensive knowledge and background in nightlife and tech, and backed by top celebrities in business and entertainment today. I have a bar/restaurant and want to partner with Hooch; how do I go about that? Click Here to apply to have your venue partnered with Hooch. How do I cancel my Hooch membership?Easy. Go in the App and click Cancel Subscription under Plans & Billing from the main menu and follow the instructions, or you may open a cancellation ticket by e-mailing support@hooch.co. Deleting the App itself does NOT automatically unsubscribe you. Where can I find more resources on responsible drinking?